Scored an iPhone this holiday season? Or perhaps just delicious iTunes Store credit? We’ve assembled this list of the best iPhone games; if you’re a gamer, these are the must-have apps for your device. Loosen your thumbs, loosen your wallet, and start playing. Angry Birds Rio - Angry Birds Rio is a sequel to Rovio’s award-winning physics puzzler, Angry Birds. Though it’s a tie-in to the animated film Rio, the game is surprisingly compelling in its own right, with dozens of stages to solve and a more polished bird-flinging mechanic. Though the fiendish green pigs are nowhere to be found, merely saving your feathered friends also proves to be a persuasive reason to keep playing. Dead Space - Malevolent aliens called Necromorphs confront you at every turn in this harrowing action/survival-horror title from Electronic Arts. Adapted from the iconic console series, Dead Space for iOS is a surprisingly intuitive and fun game that proves that your iPhone has a few good scares in it. 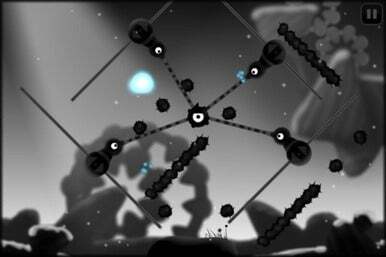 Contre Jour - There are few platformers as original and visually distinctive as Contre Jour. Instead of manipulating a character across a variety of obstacles, you’re instead tasked with manipulating the ground itself to guide your character to its destination. The app’s unique use of contrasting color and lighting also ensures that Contre Jour is one of the more aesthetically pleasing apps out there. 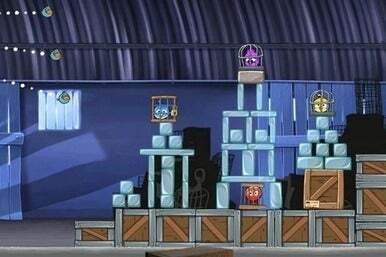 Cut the Rope - The point of this adorable physics-based puzzle game is to help Om Nom the dinosaur eat a piece of candy. Sound simple? It’s not. Cut the Rope throws all kinds of tricks and obstacles in your path—including spikes, spiders, and a surprisingly realistic physics engine. While it’s easy to “cut the rope” with a quick swipe on your iPhone, timing your actions and planning your moves are the ultimate keys to success. Infinity Blade - There is no game on the iPhone more “epic” than the fantasy action title Infinity Blade from Epic Games. Empowered by the graphically stunning Unreal Engine, Infinity Blade lets you see every dodge, slash, and block in brutal detail. 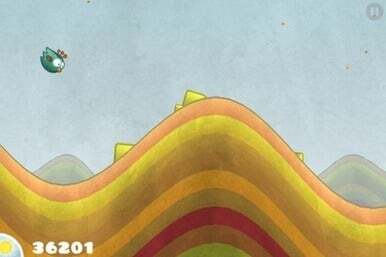 Tiny Wings - There are few games on the App Store as elegantly simple as Tiny Wings. Using a one-touch control scheme, the easily-accessible and brightly-colored app is a breeze to learn, but nearly impossible to master: Guiding your little flightless bird through multiple islands before the sun sets will keep players coming back time after time. Flight Control - The first game to pioneer the line drawing mechanic on the iPhone platform, Flight Control is a surprisingly clever puzzler with millions of fans (and many, many imitators). You play as an air traffic controller who needs to draw a route for every airplane on the screen to land safely, ensuring that each plane avoids the others in an increasingly-crowded sky. Real Racing 2 - Despite stiff competition, there’s really only one marquee racing franchise on the iPhone platform, and that’s the Real Racing series. 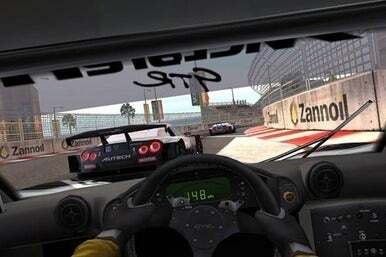 With its licensed cars, realistic graphics, and multiple controller options, Real Racing is a joy to drive and only gets better when you speed into the game’s rigorous multiplayer for a match against your friends. Plants Versus Zombies - PopCap’s Plants Versus Zombies is a tower defense game with a sense of humor. You play as a homeowner with a green thumb and a zombie problem. You must fend off wave after wave of resourceful undead as they try to invade your home and, as zombies are wont to do, eat your brains. Luckily, you have a full arsenal of peapods, fungi, and vegetables at your disposal. The zombies don’t stand a chance.